What’s an hour of your time worth? Farmers balance an ever-growing list of time takers: crops, livestock, marketing, equipment repairs, budgeting, looking for growth opportunities, and maybe even raising a family above all else. Advisors constantly balance their employer’s and farmer customers’ best interests – with time being the X factor. No matter what part of the ag industry advisors are in, time is money and both are precious. How do you determine the value of your time? Usually there are clear direct costs related to extra trips or longer turnarounds than necessary. And then there is the opportunity cost of the time spent on re-work or avoidable steps. In today’s operating environment, even time-saving solutions need to prove their ROI. 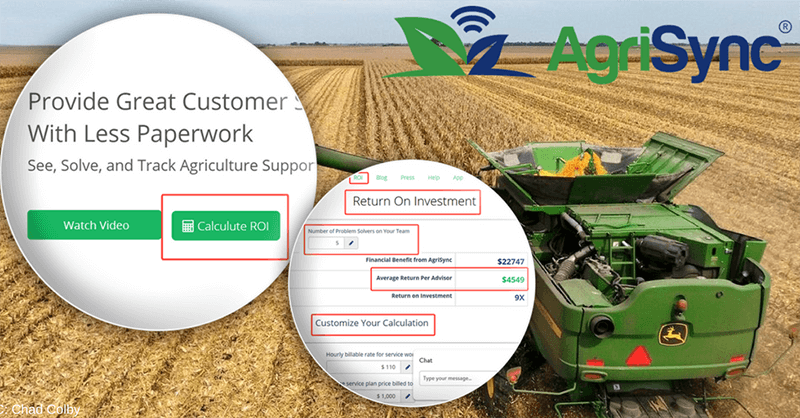 So, we created a ROI calculator to help you uncover potential, tangible dollar value from using AgriSync. The best news? We think AgriSync helps make it possible to maximize the value of time while also maximizing customer support and satisfaction. It’s a double win. Check out our ROI calculator, customize it to the way your business operates, and see how AgriSync helps.